Since the inauguration of President Donald Trump in November 2016, the term ‘fake news’ has exploded into the public consciousness, with varying effects. From Trump’s own inexact use of the term to refer to news coverage with which he disagrees, to the growing number of online sources perpetuating propaganda or hyper-partisan views as fact, it is now more important than ever that people of all ages are able to distinguish between ‘real’ and ‘fake’ news. Fake news is by no means a recent development. Only 10% of European graduates are confident in their data literacy skills, according to a survey by Qlik. It has previously been known as ‘hoaxes’, or plain-old ‘propaganda’, and includes such incidents as photographs of ‘fairies’ in an English garden from 1917 that famously fooled Sherlock Holmes author Sir Arthur Conan Doyle. The pace at which fake news spreads, however, has now reached new heights thanks to the advanced digital technology that facilitates much of our day-to-day lives. Platforms such as social media and easy-to-create dummy websites are breeding grounds for disinformation and fake news, and often are created well enough to fool unsuspecting readers. • DCMS releases its final report on fake news and disinformation. Advisory committee recommends that digital literacy become the ‘fourth pillar of education’. • In 2017, the ISD found that of 500 students surveyed, 84% felt more confident in their ability to recognise fake news after having taken an internet citizenship course. • Non-profits such as Jisc and the South West Grid for Learning (SWGfL) provide free resources to help students think more critically. Charlene White, newsreader for ITV, told ET: “Social media is adding to the problem because it’s getting harder and harder to tell what’s a good source.” White recommended that discerning readers should ‘question everything’, and that cross-referencing facts is an essential part of the process. The need to improve digital literacy for young people is also supported by a study from Stanford University, released in November 2016. The executive summary of the report states: “Overall, young people’s ability to reason about the information on the internet can be summed up in one word: bleak,” and goes on to provide numerous examples of high school students in the US misinterpreting the difference between real and ‘fake’ news online. Responsibility should come down to teachers in every sense of the word. So teachers in schools and colleges, but also leaders in the community, youth organisations, parents, etc. The issue is not restricted to the UK and US. A report carried out in 2018 in the Netherlands revisited a famous hoax website created in 1998, claiming to raise awareness for the non-existent ‘Pacific Northwest tree octopus’. The site is often used as an example for data literacy education in the US, and a report in 2007 found that only 11% of US school children were able to identify the site as a hoax. The report was repeated in the Netherlands in 2018 by Utrecht University, and found that, shockingly, only 7% of school children could accurately identify the site as a fake. ISD found that of 500 students surveyed, 84% felt more confident in their ability to recognise fake news after having taken an internet citizenship course. So whose responsibility is it to ensure that children and young people are taught to distinguish between real and fake in the media? But what about the tech sector itself? Recent government enquiries into the role and responsibility of social media companies in regulating the use of their users’ data, and shutting down fake accounts and hate speech have brought this issue largely to the public eye. 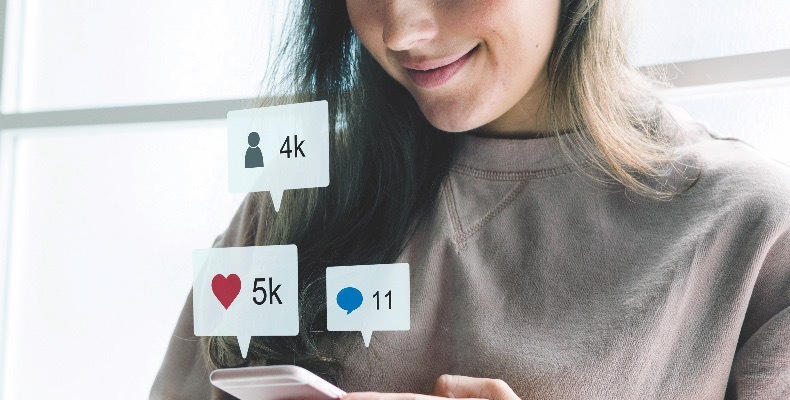 An Ofcom report from 2018 shows that social media is the most common source of news among 16–24-year-olds. 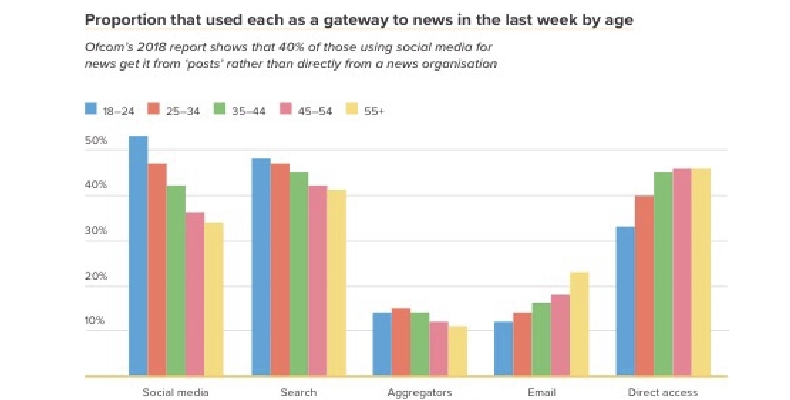 It is also the most popular type of online news for UK adults, favoured by 44%. Zoe Kleinmann, senior reporter at the BBC, and presenter of the news network’s video on how to spot fake news, told ET: “The tech sector is forced by governments to take a far tougher stance on [fake news] than it has done in the past. Content flagged as fake news is reported and removed more quickly than ever before on platforms like YouTube and Facebook, but the sheer volume of it means that it still slips through the net, even with the best algorithms available. There are plenty of resources already available for educators wanting to teach their students about digital literacy. 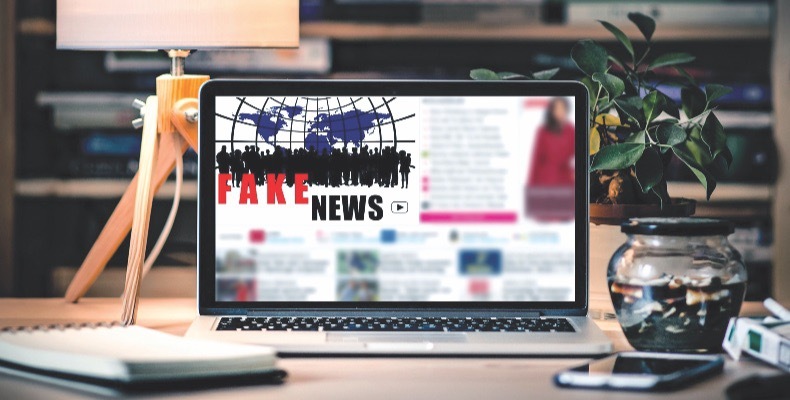 The Institute of Strategic Dialogue (ISD), runs a ‘internet citizens’ programme in partnership with Google, and in 2017 found that of 500 students surveyed, 84% felt more confident in their ability to recognise fake news after having taken the course. We must harness the power of education to train students with the skills and mindsets to develop their ability to examine political discourse and social media content. It is also important to draw attention to the trappings of fake news without hampering free speech or favouring one political stance over another. Kleinman says: “It’s a difficult line to tread for sure, and one that the people who produce misinformation exploit to their advantage. I think teaching children to be inquisitive and ask questions is a key skill that will stand them in good stead in many areas of life. Non-profits such as Jisc and the South West Grid for Learning (SWGfL) also provide free resources to help students think more critically. The SWGfL resources range from years 1–10, and Jisc focuses largely on the HE and FE sectors. Jisc’s digital literacy framework is particularly adaptable for different subjects, allowing the broader literacy skills to be applied to curriculum content. Footring told ET: “The way you teach media literacy to, say, chemistry students when they’re looking at research, is going to be fundamentally different to how you teach it to architects, or health and social care students, and so on. So what needs to be done about fake news now? Jordan Morrow, global head of data literacy at data analytics company Qlik, says: “If the recent parliamentary inquiry into disinformation is anything to go by, whilst progress to combat the fake news phenomenon is being made, there is still a long journey ahead of us. The DQ Global Standards report has recently been released by the Coalition for Digital Intelligence (DCI), setting out a global standard for digital literacy. The report outlines a framework which includes a common set of definitions, language and understanding of digital literacy, skills and readiness to be used by governments, educators and tech companies. Twenty-five global approaches to digital literacy have been consolidated to create the framework, and the structure is built on the OECD’s Education 2030 Learning Framework. The increasing use of developing technologies such as artificial intelligence also needs to be considered, says Dr Ameena Hussain, director for programmes and community development at the World Innovation Summit for Education (WISE). As Hussain says, it is the whole of society that is affected by fake news, and as such we need to ensure that everyone, and especially the next generation, are equipped with the skills to think critically and question what they read. From the spread of prejudice and cultural disharmony, to conspiracy theories and harmful rumours, fake news affects us all, and so the onus is on all of us, and especially those in teaching and leadership positions, to teach the skills needed to resist it. ● BBC video: What is fake news and how can you identify it?